Gary van Wyk, Curator of Our Anthropocene: Eco Crises, discusses censorship, apartheid activism, and fire-fighting rhinos. The show is on view at the Center’s Main Gallery through March 31st. Gary will be leading a roundtable discussion on the exhibition at the Center on Friday, March 2, at 6:30 pm. In the mid-eighties, artists in South Africa writhed under total censorship—forbidden from drawing, photographing, and otherwise depicting policemen, soldiers, or any apartheid-resistance by the people. Along with his partner, Gary Van Wyk started taking to the streets at night, posting his massive political paintings on billboards as murals. To avoid the military, he’d recently added a fine arts concentration to his law degree, but in this state of emergency, felt called to dissent. In doing so, he marked himself as a terrorist. The powers that be are hard at work finalizing the Center’s fall class schedule. We will have the finalized schedule, full of exciting classes in both the bindery and printshop, shortly, but while you are waiting (with bated breath, I hope), here is a sneak preview of several of our amazing instructors who will be teaching in the fall. From Brooklyn Love Exchange. Warms your heart, no? Iviva Olenick is a Brooklyn based artist who first learned to sew in kindergarten, though she only began incorporating needlework into her art in 2002. Iviva earned a BA in French Literature and Psychology from Binghamton University, SUNY, and an AAS in Textile/Surface Design from FIT (the Fashion Institute of Technology). Iviva’s work uses this medium to engage with critical questions of the day including technology, privacy, personal history, and love. Olenick’s projects often seek to capture her and others’ experience and feelings regarding, dating, love, and Brooklyn. 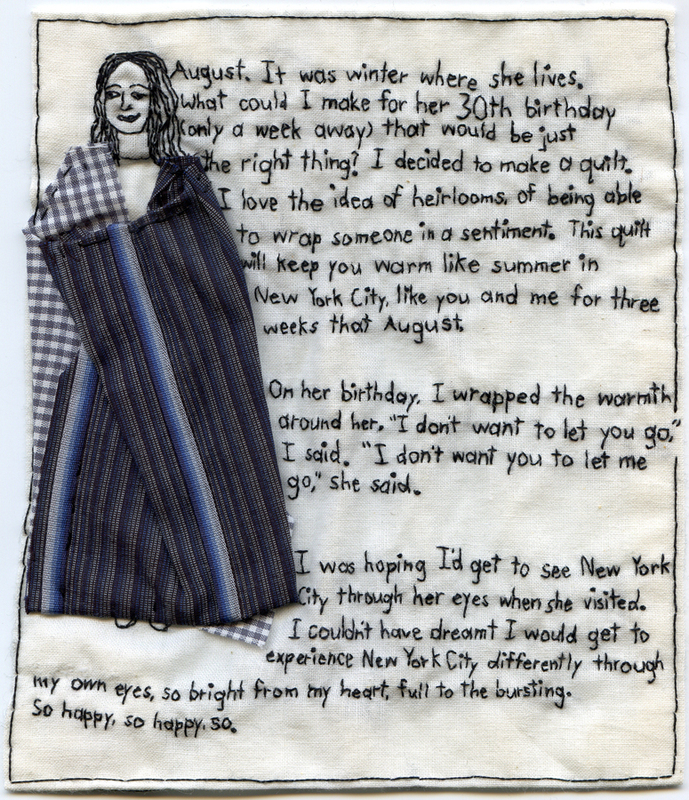 In 2011, she received a grant from the Brooklyn Arts Council to create an embroidered “map of love in the borough of Brooklyn.” The Brooklyn Love Exchange, as the piece was titled, was comprised of embroidered pieces, one of which was an actual map of Brooklyn, with embroidered images and excerpts from people’s real life Brooklyn stories. Olenik began creating embroideries based on her dating experiences in 2007, creating an ongoing “embroidered blog,” titled Were I so Besotted. More examples of these projects and her other work can be seen at her dangerously engrossing website, www.ivivaolenick.com. Pamela Spitzmueller is Chief Conservator for Special Collections at Harvard University Libraries where she heads the Weissman Preservation Center Conservation Lab. She is also a renowned book artist who draws inspiration from her work with old and damaged books to create her unique artist books. Spitzmueller received a degree in art education from the University of Illinois. She previously worked in the Library of Congress as a rare book conservator. She received a National Endowment for the Humanities Grant in 1979, an Andrew Mellon Foundation Grant in 1993, and a Kress Foundation Fellowship in 1992. 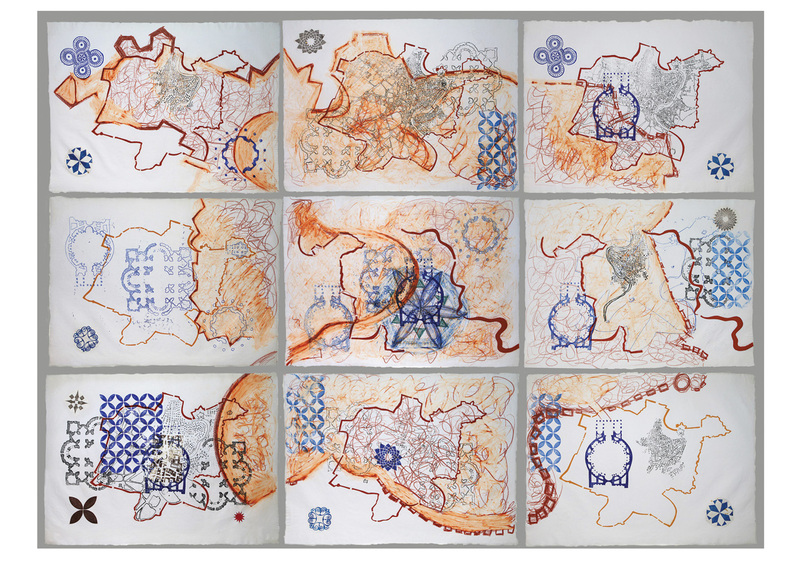 Spitzmueller makes historical models based on historical book features as well as one-of-a-kind artists’ books influenced by her research and conservation work. Pam is also a co-director of the Paper and Book Intensive, an annual event focusing on high-level specialist instructor / participant interaction in traditional and innovative courses. Yomar Augusto is a Brazilian typographic artist and graphic designer. He trained as a graphic designer before going on to study photography at the School of Visual Arts in New York City in 2001 and then completing a Masters in Type Design at the Royal Academy of Art in The Hague, The Netherlands. Augusto first became interested in typography through his calligraphy practice, and continues to draw inspiration from his hand lettered practice. Among his other typographical achievements, Yomar worked with Adidas to create UNITY, the official type for World Cup 2010. 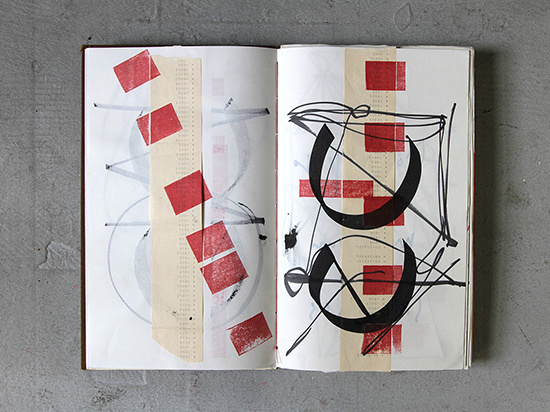 Augusto is also a book artist who’s work highlights text alongside imagery. Yomar’s work has been shown all over the world, and he has been invited to give talks and his experimental calligraphy workshops in many countries, including Brazil, The United States, Russia, Turkey, China, Denmark, Spain, Portugal, Germany and The Netherlands.